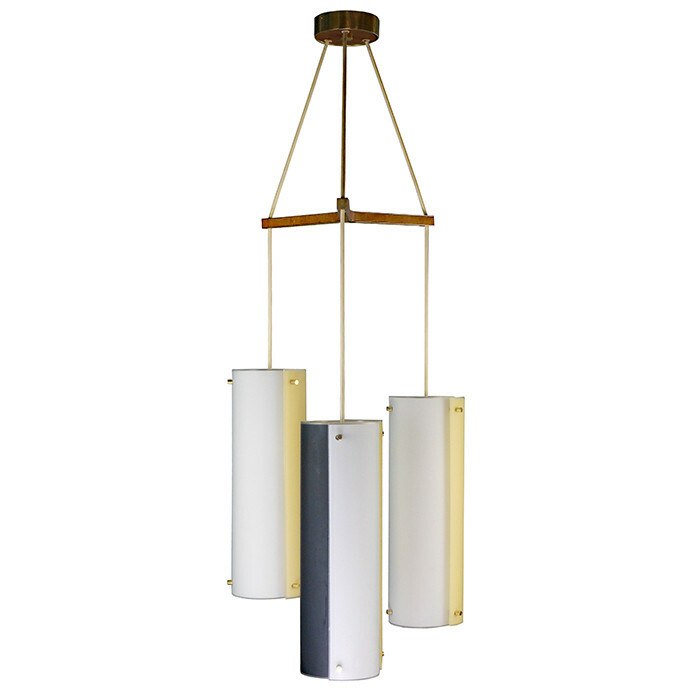 An Italian Art glass three light hanging fixture. Blue,white and yellow art glass cylinders with walnut and brass details. Dimensions: H:51 Diameter: 18 Inches.